In 2012, there were 10.8 million middle managers working in the United States. It’s a reasonable assumption that more than a third of all managers in banking are “managing in the middle:” reporting to top-level managers while managing others in some capacity. 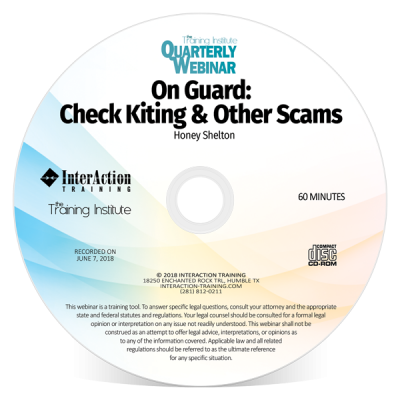 This practical, real-world webinar will help middle managers navigate their way through the maze that comes with the job. 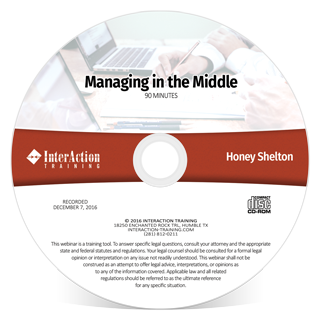 Managing in the Middle gives supervisors and middle managers the skills they need to manage work and people. They will become stronger links in the management chain. Middle managers know how stuff really gets done. They understand process and procedure, who does what, and critical deadlines. Middle managers are in the best position to help motivate the staff. They are with them all day and have hands-on experience with cross-functional departments and teams. Middle managers have the power to set the tone and encourage bounce-back when things go wrong. Middle managers have to lead to get the mission done. 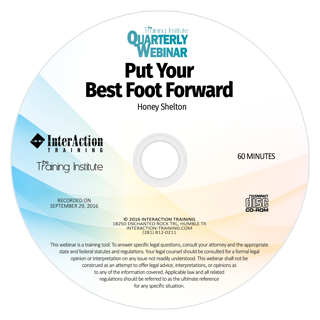 This 90-minute program is ideal for retail and operations employees, supervisors, managers and trainers. Honey Shelton brings the best of both worlds to her speaking and training engagements. She has 30 plus years of experience as a training and quality improvement consultant for banks, credit unions and related-associations across the country. Her substantial banking background includes spending three years as Executive Vice President/Chief Retail Banking Officer with a $1 billion south Texas bank. 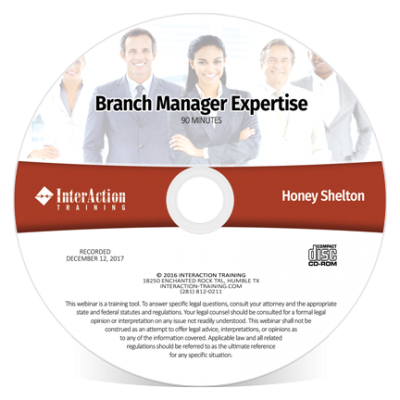 Nationally recognized as an outstanding speaker, over a half million bankers have participated in programs Honey has presented. 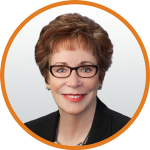 Her depth of knowledge, enthusiasm, and compelling personality have left a lasting mark on InterAction Training, the firm she founded in 1983.